We recently did some Fabrication work for a customer from Ashcott in Somerset. 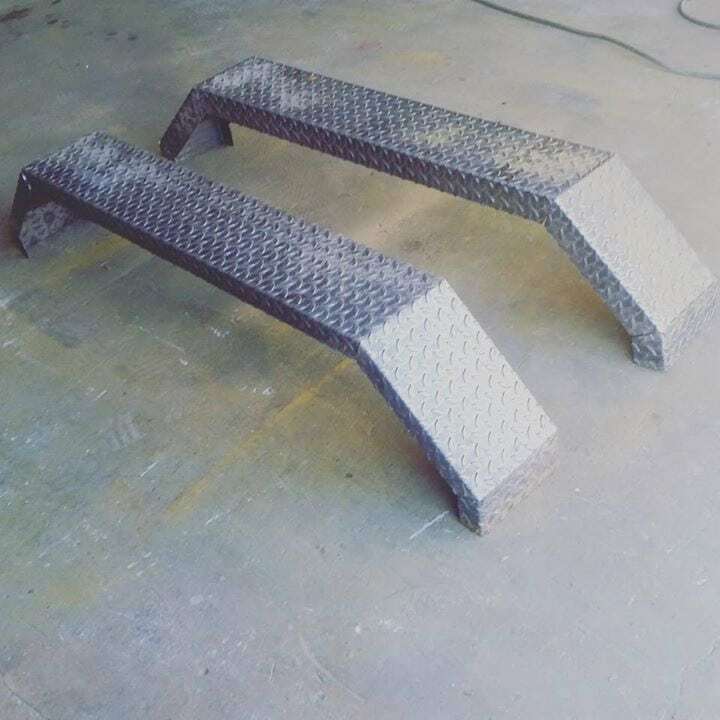 They called SAS Welders to fabricate some heavy duty mud guards from 2mm steel. These were fabricated from our workshop in Glastonbury, Somerset using our specialist Cutting and Folding equipment. The mud guards were made for a twin axle car trailer and built to last! We can also make Aluminium Tread Plate guards that will look good and last longer, with no need to paint them. SAS offer a wide range of bespoke fabrication services. If you need a skilled welder in Somerset then why not contact us?